Debt.com » What is Credit? Many of us probably had a toy cash register growing up. Depending on when you grew up, however, that cash register may have included a play “magnetic swipe” for the toy credit card that came with the cash and coins. Even at a young age, we’ve been exposed to credit cards and the idea of credit. But really, what is credit? This guide is designed to introduce credit, so you can understand what it is, how it works and how to use it strategically. If you still have questions, please feel free to Ask Our Experts. What is credit? Credit is essentially borrowing money from a bank or other establishment in order to receive goods. Years ago, people would go into grocery stores or other shops to pick up a few things here and there. At the end of the week or the end of the month, the customer would pay back the business, which had been keeping track of the things they had purchased. This was credit in its most basic form. Today credit usually comes in the form of credit cards and loans. You go into a store and use your credit card to pay for the items. By using a credit card, a bank is the one initially paying for the goods or services, and you are then paying the bank back at the end of the month. It’s the same process for a home or car. The bank or finance company puts up the money for the home or car, then you make monthly payments to them, usually with added interest, until it is paid off. 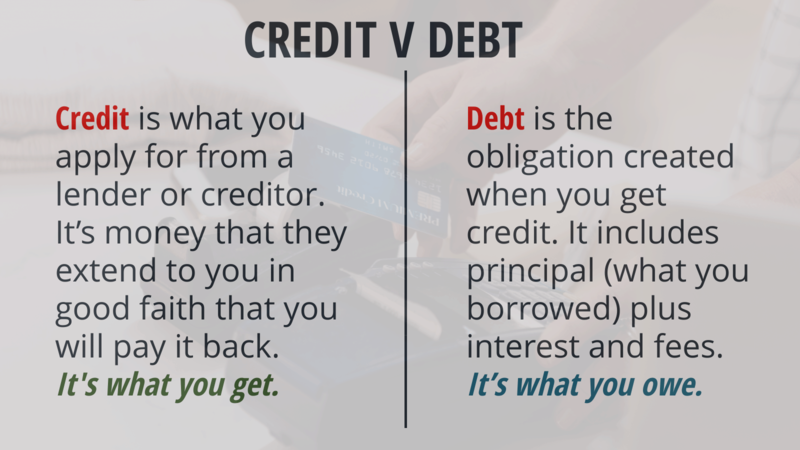 It’s important to understand the distinction between credit and debt. Credit is the money that you borrow from the establishment, as we covered earlier. Debt is the obligation that you now have to that establishment, including the amount borrowed (the principal), plus any interest charges and other fees. There are many kinds of credit out there, it all depends on what you want to use it for. The most important thing to think about is the kind of debt associated with that credit type. Some types of credit may seem different but are essentially the same. When talking about overall credit, there are two main kinds of debt that are out there: secured and unsecured debt. Secured debt is when you receive credit in exchange for something. You must either give something to the bank as collateral, or have something that the bank can take from you, in the event you do not pay off your loan as promised. With secured credit cards, you give the bank a deposit that serves as collateral. If you don’t make your payments, the creditor takes the deposit to cover the debt repayment. Home loans are a secured form of credit. If you don’t pay your mortgage, the bank can (in most states) take your home and resell it. Think back, if you can, to the housing crisis at the start of the Great Recession, when all the homes were in foreclosure or owned by banks and being sold. Car loans are another form of secured credit because cars are physical items that have value. If you don’t pay on your car loan, your car can be repossessed and given to the bank. Understand that in all these cases, not paying or defaulting will result in major hits on your credit report. Unsecured debt is credit that is given to you based on your creditworthiness. The institution essentially loans you the money with the expectation that you will pay it back, sometimes with interest. Take a look at our debt-to-income ratio calculator if you’d like to determine how much debt you have currently. What are the 5 C’s of Credit Worthiness? Most of the five C’s deal with your history of handling money and loans in the past. This helps give lenders of an idea of the likelihood of repaying their money to them. Each bank has its own criteria woven into the five C’s. 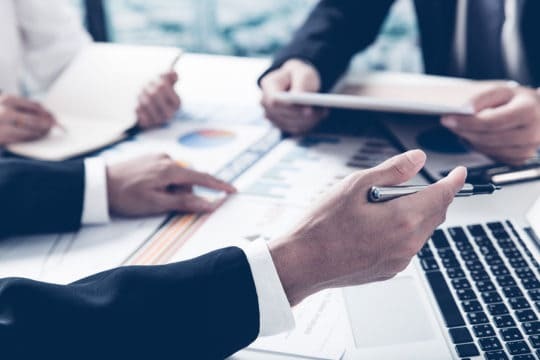 Lenders and creditors place different values on different areas, depending on their lending model; these C’s give you things to think about before you take out a new line of credit with a bank. Credit History/Character. A lender will look at various aspects to make an opinion about your character, including your credit history. While a smaller or local bank or credit union might care more about your character as a person, and take references and your reputation into consideration before making a loan decision, a large bank will usually look at your credit history and your ability to pay back loans, and on time. Capacity. This is sometimes also viewed as “cash flow.” This is your ability to pay back the loan based on annual income, your debt-to-income ratio and more. It shows the bank you have the financial ability to repay the loan. Capital. This is often an aspect for businesses, but it shows the bank how much money you or investors have invested in your business. Collateral. Much like a secured loan, a bank will look at what tangible items you have that can be leveraged in case you default on your loan. Conditions. These are outside factors that could impact your ability to pay back a loan. The job market and the business you are in could affect the kind and amount of loan you get. This is credit that is like a credit card or home equity line of credit (HELOC). You have a set limit that you can borrow, and can borrow at will up to that amount, while either paying it back each month or making payments each month to pay off what you owe. Examples of installment loans include car loans and mortgages, or house payments. You had a set amount of money that you borrowed that you must pay back after a certain amount of time (usually years). The total amount you owe was divided into monthly payments with interest, and now you pay a set amount each month until the total loan is paid off. You can’t borrow more money from an installment loan. Open credit is a credit line that you can borrow against as needed. Closed credit is a set amount you receive upfront. For example, a home equity loan is a closed credit line, because you receive a set amount of money once you’re approved. By contrast, a HELOC is an open credit line. You can borrow up to a certain limit, but you don’t have to take out the full amount. Open credit usually has revolving payments, while closed credit has installment payments. Now that we’ve answered “what is credit?” and discussed the kinds of credit, how do we get credit? Getting credit starts early for many people. Many parents put their children on their credit card accounts to create a positive credit history for them. Individuals can also do this when the primary account holder adds them as an authorized user on the account. If you must obtain credit on your own, it helps to have a bank account. While not part of your credit history, it can help regarding one of the 5 C’s of creditworthiness, character. If you have a bank account and automatic deposit with recurring income, you are also showing capacity. Another option is to open a secured credit card account that reports to the three credit agencies. You’ll need a deposit initially, but over time it will help you create a positive credit account (if you are paying it off each month and keeping your spending low) and create the opportunity to get more credit. Other options when getting credit include cell phones and store credit cards. Both require relatively little credit to be approved, or require a down payment if your credit is particularly thin. Again, the down payment is to secure the loan in the chance that you default. In the meantime, you should gain positive credit history from each of these credit lines you open or create. A third option that can work is to have a co-signer on a loan. This can be a dangerous proposition for the co-signer, but beneficial for you if you make sure to pay the loan back. You and the co-signer are on the hook for the entire amount of the loan, and you don’t want to hurt the co-signer’s credit or their finances by not making good on your loan. No matter which option you choose, it’s especially important to keep up on your monthly payments and to keep credit card balances at or near zero. This will positively impact your credit report. 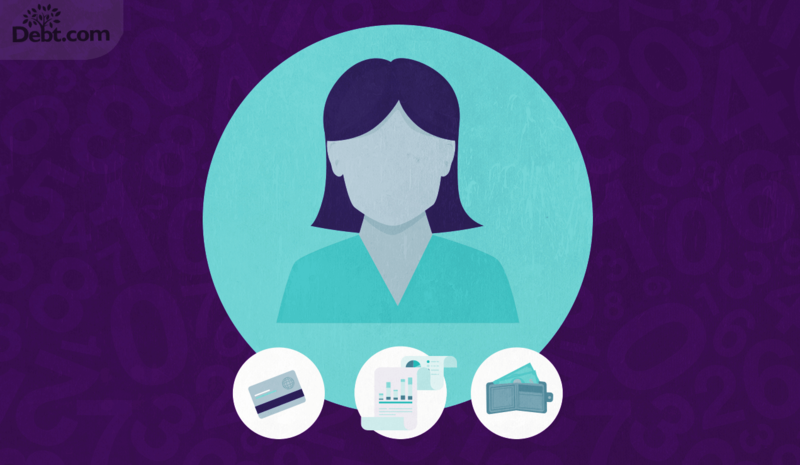 Try setting up automatic payments with accounts so that you never miss a payment. When you apply for new credit, make sure to look at the terms and conditions that you are agreeing to. Based on your credit score, what are your chances of being approved? How high are the interest rates? What are the payback terms? Will you be dinged if you try to pay off the loan early or pay more than what is due? Make sure to read the fine print, which can be a lot, before every signing on a loan or opening new credit. As you build your credit, the accounts accumulate onto a credit report. There are three credit reporting agencies that track your credit — Experian, TransUnion, and Equifax. Each bureau tracks when you apply for credit, when you get approved, and your payment history. Each agency also has its own algorithm that it uses to calculate your creditworthiness for other lenders. Your credit report also shows how long you have credit for. All these indicators help lenders with their five C’s. It’s important to keep your credit, and your credit reports, in good standing if you want to continue to be creditworthy and have access to new credit. Try Debt.com’s 3-bureau credit monitoring tool free for 30 days to review your credit reports and track key changes in your credit score. Once you have credit, the most important part is maintaining it. With an installment loan, you must pay off at least the predetermined amount each month. That will keep the account in good standing while also paying down the loan. The place where many people tend to get into trouble is with revolving credit or credit cards. When you have a larger limit of how much you can borrow, it can potentially lead you to spending more money than you are able to pay off each month, or within a reasonable amount of time. Your spending can quickly spiral out of control and lead you to monthly interest payments that exceed what you can reasonably afford to pay. You will wind up in credit card debt, and eventually bad credit if you can’t rein in spending and learn to budget. If you do wind up in credit card debt, thankfully there are options out there that can help with credit repair. Credit repair and debt management services can help you get your debt under control and create a system where you can repay your loans and rebuild your credit. As you build up and maintain your credit, turn to Debt.com for information and advice on keeping a clean and positive credit history. Let Debt.com match you with the right solutions to eliminate your debt and fix your credit so you can achieve the score you need to be successful. Article last modified on April 23, 2019. Published by Debt.com, LLC .